Some albums just feel like the end of summer, or the final rays of light in a sunset—a settling-in process that sounds both comforting and forlorn. 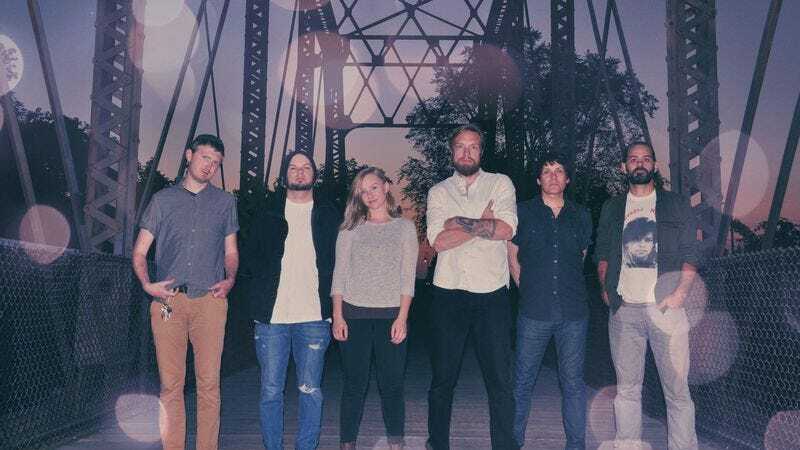 The Cracks That Built The Walls, the second album from Midwest band Communist Daughter, captures that pleasingly melancholy mood, as though the music were mourning the end of a long day, while still welcoming the coming quiet. Fittingly, the continual harmonies of Johnny and Molly Solomon are paired to songs both hushed and driving, always riding that fine line between rocking out and holding back. Like a more expansive Grandaddy, only fused to the melodies of Yo La Tengo and armed with a rootsy Americana vibe, Communist Daughter’s latest record is now streaming exclusively at The A.V. Club, in advance of its October 21 release (which you can pre-order now). Tour dates for the group are listed below. In discussing the record, which contains some of his best songwriting and lyrics since his days fronting the Twin Cities-based indie rock band Friends Like These, Johnny Solomon explained how it evolved from his past troubles with addiction and mental illness. “When you repair a wall, the place you fix sometimes becomes stronger then the original. So maybe a wall that’s been cracked and broken becomes something much more than it was to begin with. This album is about all the cracks in my life, and how all those cracks eventually built what I have now, good and bad.” It’s a universal sentiment, and that feeling suffuses Cracks, creating a potent expression of trying to make peace with you who are and where you’re at.